To use scales successfully you need to swap scale every time the chord changes. Many guitar players don’t do this, instead, they pick just one that ‘kind of works’ and ignore the chord progression beneath. This is called using a ‘blanket scale’ and means that they’ve set themselves up for a lifetime of guessing what notes will work. The listener always hears melodies in relation to the chords so even if you don’t think you do it, it is still happening – the scale always does change with the chords. Since scales do change when the chord change, whether you like it or not, it is in your best interest to get so good at playing scales that you can swap them as the chords move along. Do this and you’ll be playing with the music, rather than ‘on top of it’. 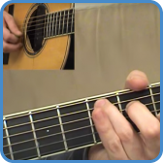 Every pentatonic scale shape can be directly linked to a barre chord shape. As there are only five minor and five major shapes to learn, this won’t take long. Even better news, when you start playing using modes (Mixolydian, Dorian, Aeolian etc) they can, in turn, be built from the pentatonic shapes by only adding a couple of notes. To fully understand how to use scales to your advantage you need real songs and actual examples, just practicing the shapes won’t be enough so I’ve incorporated all this into the intermediate step by step guitar course. Not only will you learn how to change scale as the chord changes, you’ll start seeing music in a completely different way and leave all those blanket scale guys behind. You can preview the video lessons used in the course by following the links below. 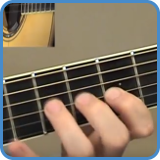 The most common scale around is the Minor Pentatonic. This is usually the first scale you learn and use when improvising on the guitar. Countless hit melodies are based on this scale as well so it really is a must to learn. Once mastered you can build upon it by adding notes to the framework. 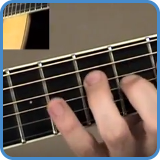 Go to the Minor Pentatonic page to find all shapes, complete with individual video lessons. One of the most popular scales used in modern music is the Blues scale. The Blues scale is usually the second scale you learn after the Minor Pentatonic as all you do is add one note to it. As adding notes like this can be done to create all minor scales, doing it to create the Blues scale is a great introduction to the concept. 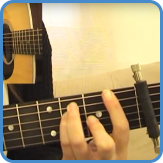 Visit the Blues scale page to have a look at all the video lessons. This scale is similar to the Blues scale, we just add one more note, the maj7. 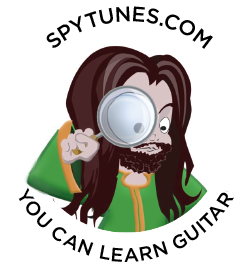 Conspirian is a unique scale to Spy Tunes, it holds no modal notes and can, therefore, be used no matter what minor chord you play over. 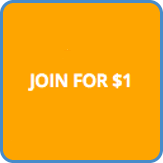 You’ll learn more about this scale and why it will always work when you take the intermediate course. To see the video lessons already now, go to the Conspirian. In blues, soul and country influenced styles of music we often use a Major Pentatonic scale to create licks and melodies over major chords. 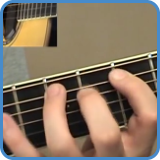 As all pentatonic shapes can be traced back to a chord shape, they’re easy to understand, visualize and remember. 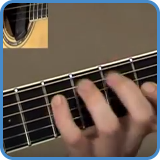 Go to the Major Pentatonic page and find all shapes, complete with individual video lessons.